The Freejump Soft Up Classic Stirrups have a eye set parallel to the tread and slightly reduced size. A change to the branch geometry has increased shock-absorption giving up to 3 times more cushioning than traditional stirrups. Reducing the strain on each stirrup by two-thirds relieves pressure on the rider's joints and the horse's back. The centre of gravity of these stirrups is set towards the front which causes a backwards movement of the tread which encourages the rider to keep their heels down. The wide carbon tread combined with tilted studs gives a supporting surface which is 12% bigger to help alleviate pressure points on the arch of the foot. The Soft Up Classic Stirrups offer improved safety with a flexible outer branch, single-branch technology designed so that pressure from the foot opens it up if a rider is dragged by their horse. A development in the manufacturing process the aircraft-grade spring steel branch means that it is 37% more resistant. 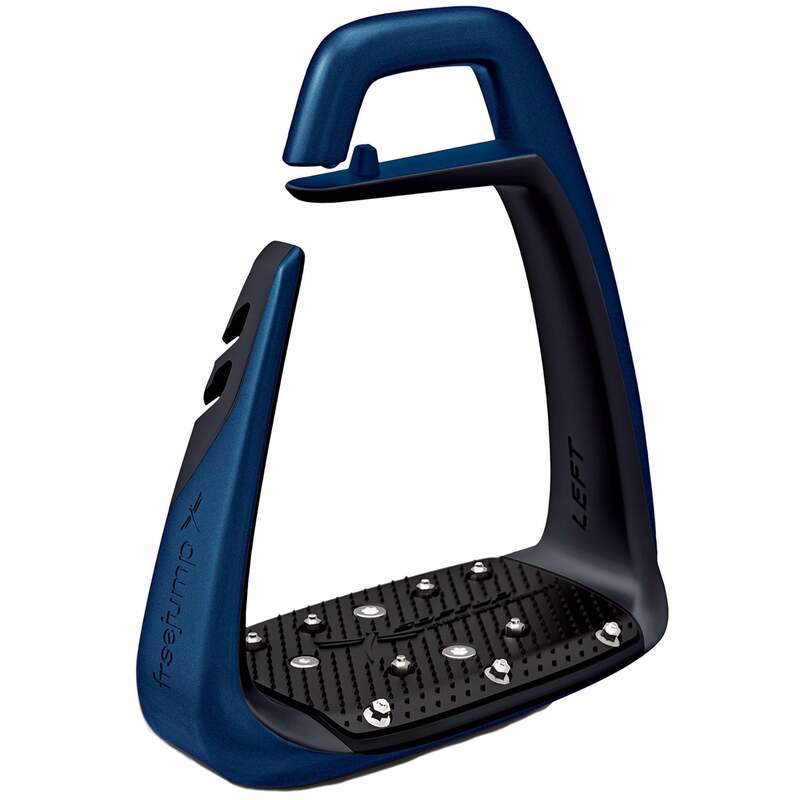 The Freejump Soft Up Classic Stirrups are a great choice for comfort, safety and performance. For extra stability and comfort these stirrup irons can be used with Freejump Classic Wide Stirrup Leathers.